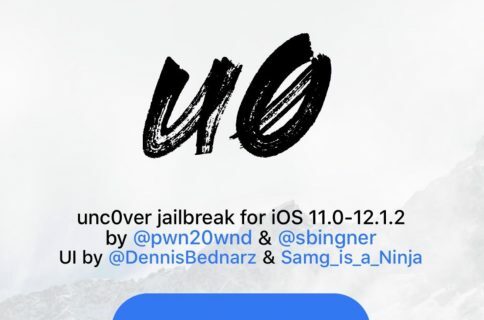 If you haven’t already heard, those rocking Pwn20wnd’s unc0ver jailbreak for iOS 11.0-11.4 beta 3 can now install the Sileo package manager alongside Cydia on their pwned handset. 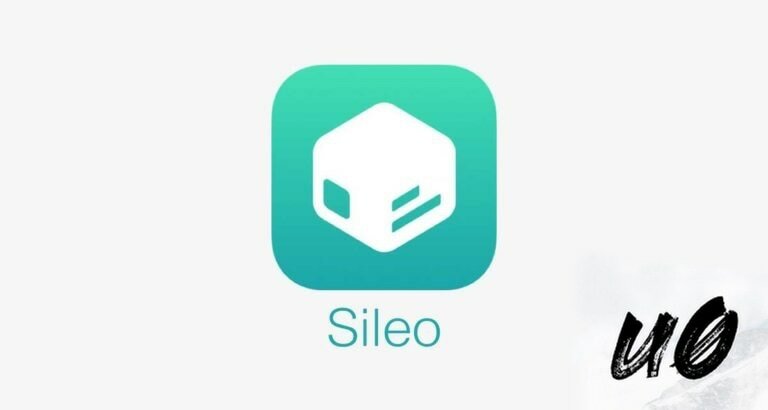 The choice to install the Sileo package manager on your unc0ver jailbreak is entirely up to you, but if you’d like to move forward with the install, then you’ll find all the steps you need to follow to do so in this tutorial. Please note that Sileo package manager is still in its beta stages, and this port is not officially supported by the Sileo Team. That said, you install Sileo with this method at your own risk. If you should have any problems with this installation, do not reach out to the Sileo Team for help. Instead, reach out to /u/Samg_is_a_Ninja on /r/jailbreak, as he is responsible for this port. Also, do not uninstall Cydia after installing Sileo on your device. 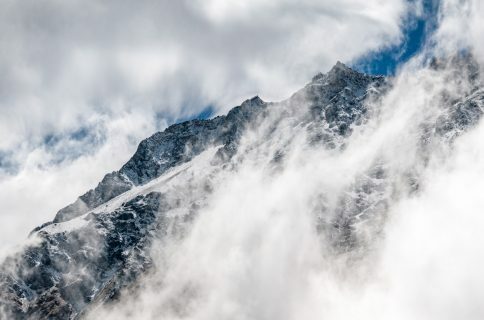 Cydia is still the primary package manager on the unc0ver jailbreak, and this port is designed in such a way that Sileo will work alongside Cydia instead of outright replacing it. 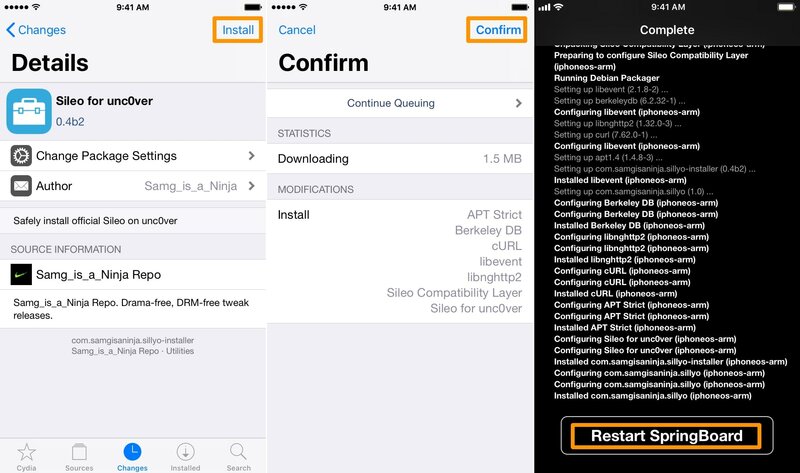 You may also want to keep Cydia as a backup in case anything goes horribly wrong with Sileo. 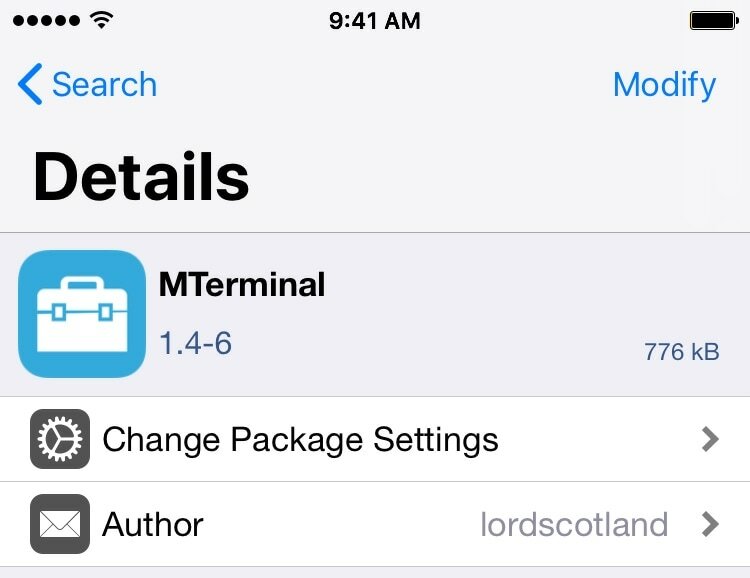 Install MTerminal by iOS developer lordscotland from Cydia before getting started. This app was recently updated with support for the unc0ver jailbreak, so install version 1.4-6 (don’t download the one with the version number 1.4-5). This app is necessary because you will need to run some terminal commands mid-installation. 1) Launch the Cydia app from your Home screen and open the Sources tab. 4) Tap the Add Source button in the text field pop-up. 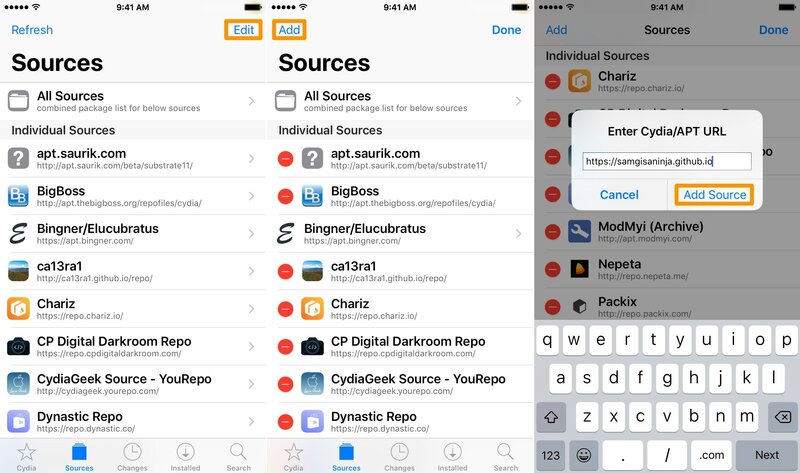 Note: Cydia will now add the repository and refresh your sources. This could take a few moments. When it is finished, move on to the next step. 6) Tap the blue Confirm button. 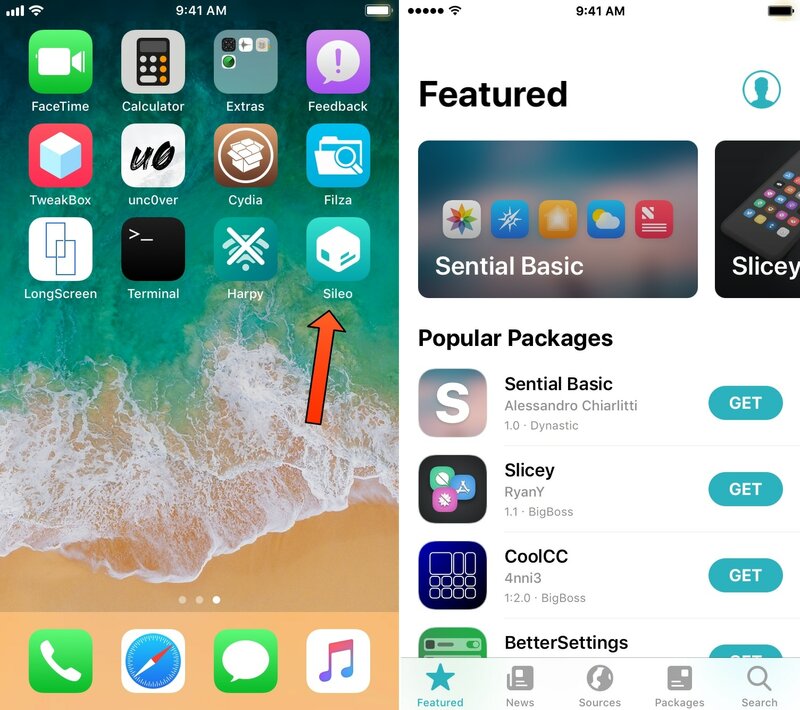 Note: Cydia will now install the Sileo compatibility layer. You will see scrolling white text on a black background for a few moments. When it finishes, move on to the next step. 7) Tap the black and white Restart SpringBoard button. Note: Your device will now respring. This could take a few moments. When finished, move on the next step. 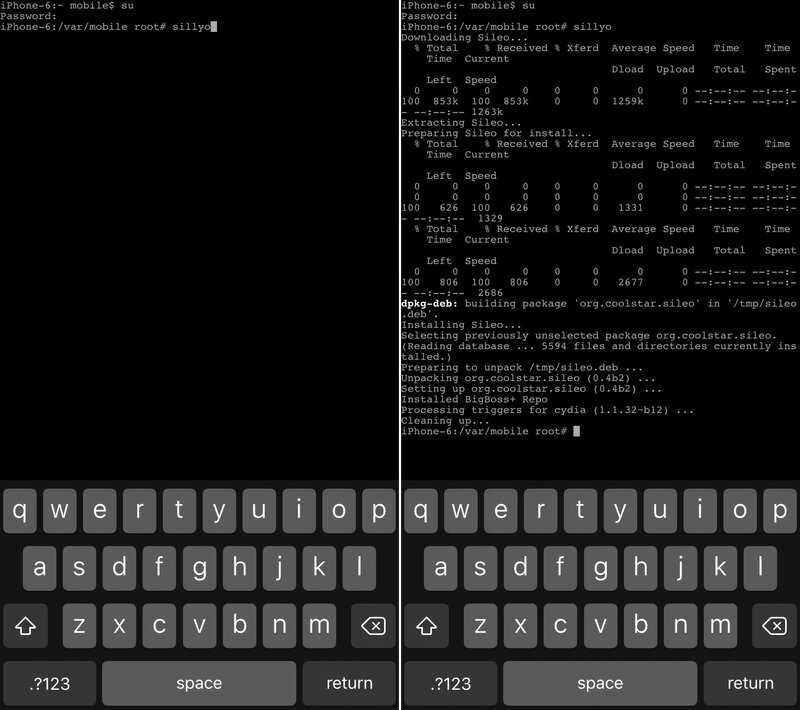 8) Launch the MTerminal app from your Home screen. 11) Next, type “sillyo” without the quotes and tap the Return key on your keyboard. Note: MTerminal will now initiate the Sileo installation process. Do not touch your device until it is complete. You will see a line that says “[devicetype]:/var/mobile root#” at the bottom of MTerminal when the installation is complete. And that’s all there is to it! You’ve successfully installed the Sileo beta preview alongside your unc0ver jailbreak. Keep in mind that you may need to repeat the installation process starting with step 5 whenever there is an update for the Sileo package manager. Have you installed Sileo on any of your unc0ver devices yet? Let us know in the comments section below.